Our concern: We want to promote artists and their work. The people behind ARTRIKAT® met at different times in different places. Am 01.01.2010 wurde ARTRIKAT® 1.0 veröffentlicht. As part of an event organized by the Economic Development of the district of Schaumburg in 2010, ARTRIKAT was represented with a booth. This is where Kerstin Thieler met former top manager Michael R. Fuchs. In 2011, the art lover and marketing specialist joined the still young company as a third party. ARTRIKAT continued on its way. 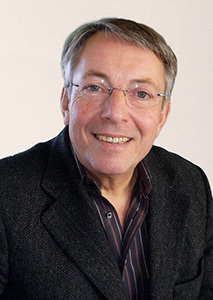 In 2012, a cooperation with the Kunsthochschule Osnabrück was concluded under the direction of Michael Fuchs. Every year since then, ARTRIKAT presents the nominees and winners of the Piepenbrock Art Prize of the Kunsthochschule Osnabrück (PKFP for short). 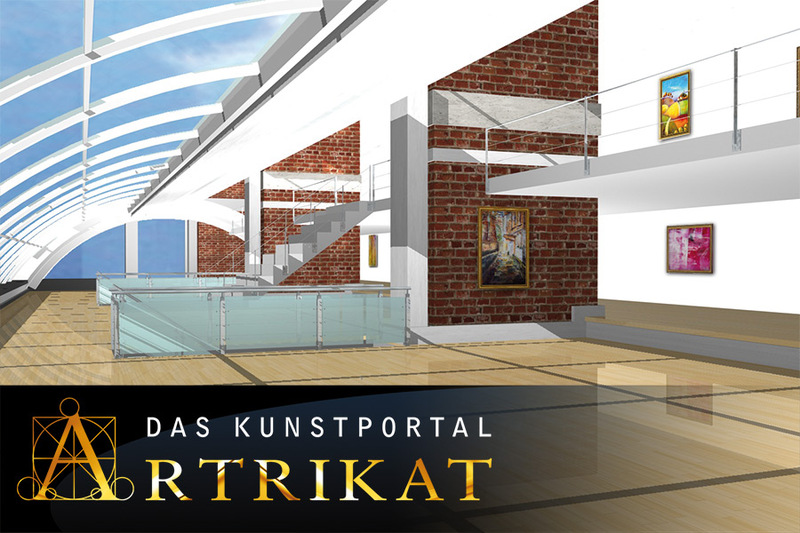 The Art Academy supports ARTRIKAT with regard to the quality of the exhibiting artists. On 06.06.2013 ARTRIKAT® 2.0 was released. While ARTRIKAT® 1.0 was based on the Typo3 system, ARTRIKAT® 2.0 was technically completely redesigned with the WordPress system and also received a gentle redesign. For the first time, ARTRIKAT 2.0 has created the opportunity for artists to set up and maintain their works of art, vitae and exhibitions themselves. Furthermore, an interactive exhibition hall has been developed for the works of PKFP nominees and winners. The topic of data security, which is becoming more and more in focus, has also been taken into account with numerous accompanying measures. With the release of ARTRIKAT® 3.0 in October 2017, another milestone in the history of ARTRIKATS will be heralded. All members benefit from a much more intuitive and faster operation in a visually completely newly developed interface. The project management was held by Kerstin Thieler. The redesign is by Dipl.-Des. Liane Hellmund. The complete functionality of the catalog including various different views as well as all interactive editing options for members was planned and developed individually for ARTRIKAT®. Mr. Rouven Groppe has significantly planned and developed the core of ARTRIKAT as part of an internship and subsequent recruitment as a web developer. I. Quarter 2018: Publication of the English version of ARTRIKAT and thus significant increase in the reach of potential interested parties and target groups. II. / III. Quarter 2018: Interactive features for works of art, e.g. Hanging works of art on a wall and looking at them in a particular ambience. 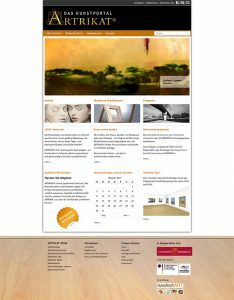 ARTRIKAT® is the virtual gallery on the internet for qualitatively high- grade, contemporary art. To be able to present works online is becoming increasingly important. Where else can artists and customers interact at any time of day? With our portal we enable those who create art of differing genres and media to display their works in a representative, technologically innovative way, in order to effectively put them up for sale. In doing this we see ourselves as an offer of support and a complement to the extremely important real encounters with art in exhibitions, galleries and museums. Our goal is the presentation of high-quality contemporary art. The sale of the artworks is controlled by the artist directly. 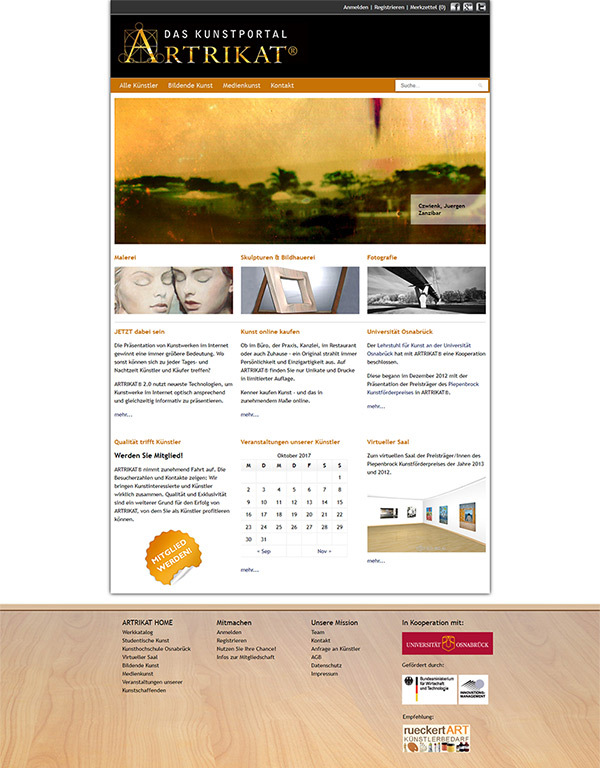 ARTRIKAT® is merely a mediator and representative meeting place for art lovers and artists. 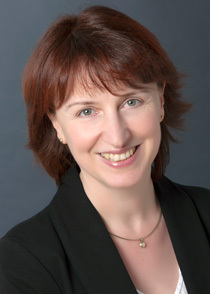 Kerstin Thieler studied computer science from 1993 to 2001 and became self-employed in 2002 with her own agency “double or nothing”. Its customers include companies in Germany and abroad, for which they realize modern internet sites and efficient shop solutions as well as developing and implementing online marketing strategies together with top-class partners. Kerstin Thieler is the initiator and project manager of ARTRIKAT. 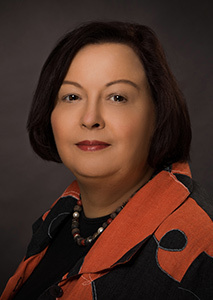 As a computer scientist, she is responsible for all technical matters and the further development of the art portal. In addition, she is also editorially active in all areas of the portal. The writing, as well as the music and social commitment are her private sources of relaxation and power and balance the daily challenges in her agency. As a member of the globally represented entrepreneurial network BNI – Business Network international, entrepreneurial team WESERBOGEN – Minden maintains many business contacts and lives the core motto: “Who gives, wins!” The latter is also the engine for her heart project ARTRIKAT. Liane Hellmund is responsible for all design matters relating to the art portal ARTRIKAT. The idea to support artists in the marketing of their art immediately inspired them. Besides her work she is interested in art, culture and social projects. She is involved since 2010 as co-founder of the art portal ARTRIKAT and is also responsible for customer service. From 1985 to 1989 she studied in Berlin. As a graduate designer with many years of professional experience, she has an infallible feeling for the trends of our time. Design is not an end in itself for her, but always fulfills a function. Michael Fuchs was responsible for our marketing until 31.12.2017. From 01.01.2018 he supports us as curator and contactor. His studies mark leadership positions in the sales and marketing of leading corporations. In the last decade of his career he was managing director and board member of a Swedish packaging group. Particular strengths lie in business communication as well as in management and marketing. Even while still a student at Walldorf, he developed a special affinity to art and its many facets; he especially loves painting.